Arunachal Pradesh Public Service Commission, Itanagar, Is Recruiting Eligible People To The Posts Of Junior Engineers & Fishery Officers/Extension Officers. So Interested People Can Apply For This Job Through Online Mode Within The Given Time Period. Junior Engineers (Power) →12 Vacancy. Fishery Officers/Extension Officers →03 Vacancy. 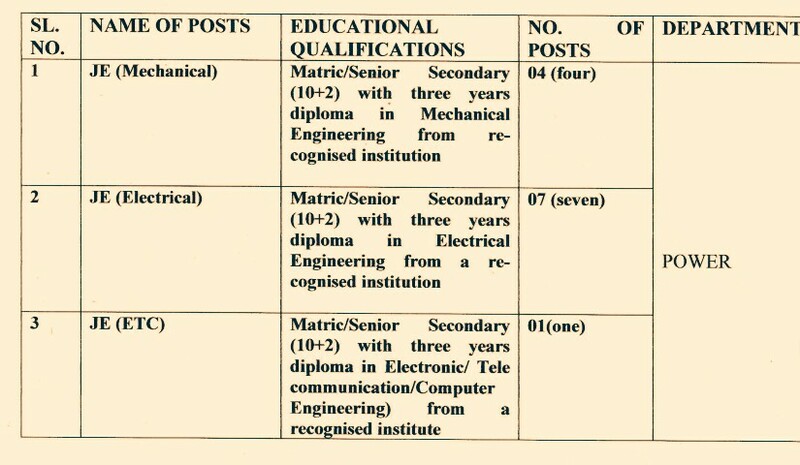 Total Number Of Vacancies →15 Vacancies, Kindly Do Check Out The Images Below For Eligible Criteria Such As- Age Limit, Educational Qualifications, Mode Of Examination/Selection Process. B. 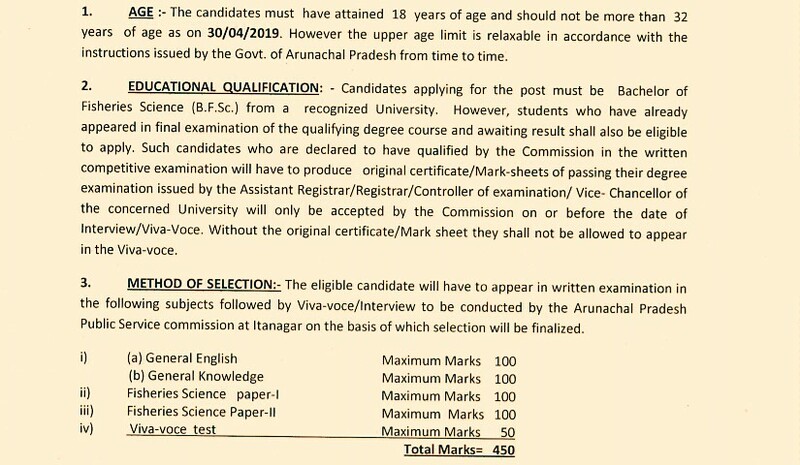 Eligible Criteria For Arunachal Pradesh Public Service Commission Recruitment 2019 Notification. Age Limit →For JE - Candidates should not be less than 18 years of Age and not more than 32 yearc of age as on 10/05/2019, You Can Check 2nd Image Above For Fishery Post. Mode Of Examination/Selection Process →For JE Post →Written Exam/Viva Voce For Fishery Officers Check Out The Above Image. Online Application/Examination Fee →Junior Engineers-Candidates are required to pay fee of Rs 150 through online & Fishery Officers- Candidates are required to pay fee of (.l00/-(Rupees one hundred)only for ApST candidates and Rs. l50/-(Rupees one hundred fifty ) only for others through online mode only. Last Date For Online Application Form Submission →Junior Engineers - 10th Of May, 2019 & Fishery Officers- 30th Of April, 2019. Click Here To Download Official Notification & Apply Online For Both The Posts.